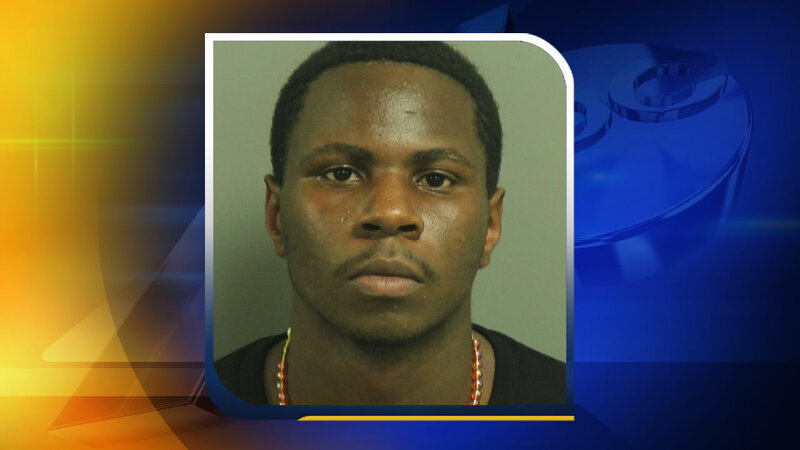 RALEIGH (WTVD) -- A man involved in a deadly police chase that began in Garner last month now faces felony death by vehicle charges. It all started when Garner police tried to pull over a car for speeding on Garner Road near New Rand Road on February 23. When an officer approached the vehicle, the man and woman in the car sped off before the officer could identify the driver. Two Garner police vehicles pursued the car through Garner and ultimately onto Rush Street where they lost sight of the suspect's vehicle. Authorities said as the officers turned north onto Hammond Road near I-40 in Raleigh, they saw that the car had crashed into a van - heavily damaging both vehicles. According to a wreck report, the car was going 90 mph at the time of impact. The driver of the car, 18-year-old Kawme Delanta Otis McGregory, was injured and taken into custody. His passenger, 25-year-old Shada Sahquea Taylor, was killed. The driver of the van, 36-year-old Shaun Dontay Jackson of Raleigh, and two children, 14-year-old Erieyana J. Holloway and a 12-year-old, were also injured in the crash and taken to the hospital. Authorities said Holloway later died from her injuries. She was an 8th grade student at Ligon GT Magnet Middle School in Raleigh. McGregory was immediately charged with DWI after the crash. In addition to the new death by vehicle charges, he's also charged with felony serious injury by vehicle, fleeing to elude arrest, speeding, reckless driving, and driving without a license. He's still in the hospital. He'll be held under a $1 million bond when he's well enough to be transferred to the Wake County jail.